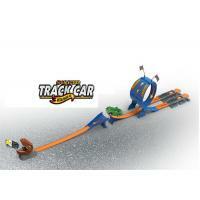 This similar hot wheels-style race track play set, composed of different track accessories. 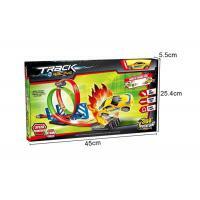 All materials are safe and non-toxic environmentally friendly plastic, it has a very stable shape, not easy to deformation. 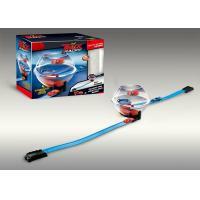 Therefore it can be repeatedly disassembled or assembled, durable use. 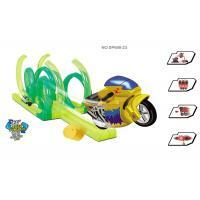 Kids can race over and over again to enjoy maxinum fun. 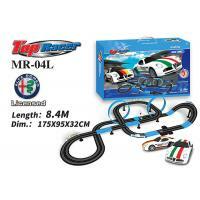 Its small plastic car has beautiful painting, as well as a powerful gear box that can give the car enough power to race along all loops at the fastest speed. 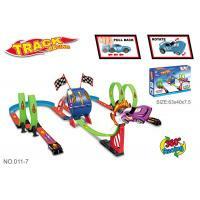 Kids will be excited to hold a race competition with friends with this racing track. 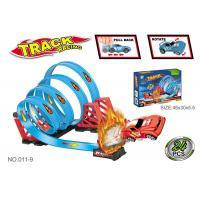 Meanwhile, this race track play set is a perfect tool to boost parent-child interactive communication. 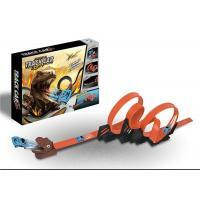 Parents can offer some guide to little kids to assemble all spare parts into a daredevil speed race track. 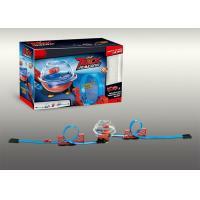 Kids also can learn how to control their hand movement to pull back and launch the friction car at the accurate time to score the highest speed victory. 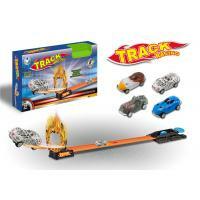 Durable tracks, strong and powerful gear box friction car, amazing speed racing fun.